The bill that turned Illinois into the focal point of a bitter debate over car-sharing last year started as a proposal about what happens when a rental car is stolen. The legislation, which would allow rental companies to punish customers if they don’t return a stolen vehicle’s keys and file a police report, had passed the state Senate unanimously and was expected to be similarly uncontroversial in the House. Then an amendment in mid-May scrubbed all the language from the bill and replaced it with a plan to regulate websites that allow people to rent their cars to strangers. 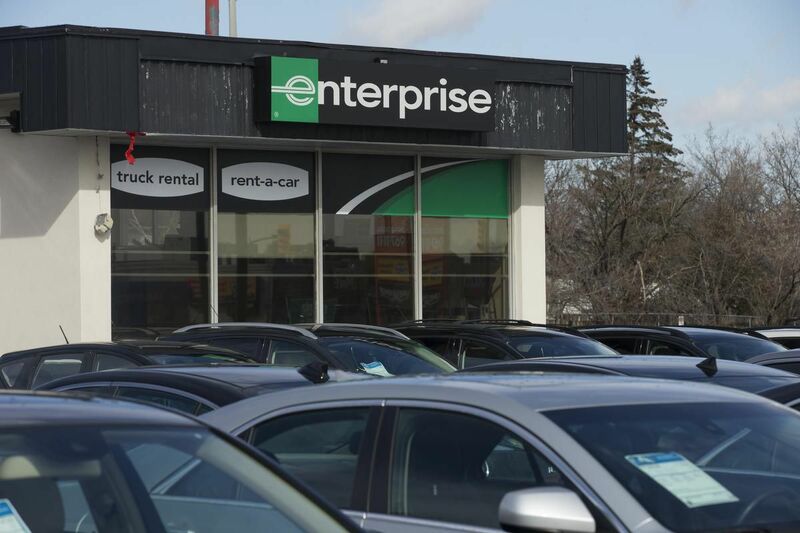 The new language echoed the priorities of Enterprise Holdings Inc., America’s largest car-rental company, which contributes tens of thousands of dollars annually to political candidates and parties in the state. The traditional car rental industry began to push last year for new state rules on the upstarts, in part through its trade group, the American Car Rental Association. The gist of the Illinois law — and of numerous other bills the rental industry has supported over the last year — is that rules and taxes that apply to traditional car rentals should also be imposed on car-sharing platforms. Wagner’s and Peacock’s paths have crossed a lot since their dispute in Illinois. The traditional car-rental industry is pitted against car-sharing startups in at least 20 states, whose lawmakers are faced with mediating. It’s a struggle with echoes of fights over Airbnb Inc., Lyft Inc. and Uber Technologies Inc., pitting incumbents in a regulated industry against upstarts who argue they shouldn’t be beholden to the same rules. Each side is rushing to pass friendly laws that might harden into a de facto national standard. Last week, lawmakers in Colorado sent a bill to the governor’s desk that would create a legal distinction between car-sharing and traditional car rentals. The bill, based on model legislation developed by the car-sharing companies, didn’t include any requirements about taxation, although it does say car-sharing companies have to negotiate fees with airports. The main issue in each state’s debate is how to define car-sharing. Just as Airbnb has insisted it has nothing to do with hotels and Uber bristles at the suggestion it runs a taxi service, this batch of startups says it’s not in the automobile rental business but instead acts as a facilitator of transactions between people who use their services. Critics say the startups are mostly interested in minimizing tax liabilities. Turo and Getaround don’t deny this. They say taxes on rental cars offset other benefits to those businesses, like the exemption from sales taxes in many states that the companies get when they purchase new vehicles. The startups say they won’t collect taxes unless the rules explicitly refer to car-sharing. They have also facilitated transactions in or around airports without paying the fees car-rental companies do to operate there, a practice that has resulted in several lawsuits, some of which are ongoing. The car-sharing companies say many regulations related to car rentals — like requirements about the physical design of rental kiosks — are irrelevant and would just cause legal hassles. They also say the casual nature of their services justify lighter regulation. The emerging legislative battle is actually something of a validation for Turo and Getaround. The companies have raised more than $ 600 million combined from venture capitalists and auto companies, an impressive sum but nowhere close to the more than $ 20 billion that has gone to U.S. ride-hailing businesses, according to research firm CB Insights. Now Wagner, the Enterprise senior vice president in charge of government relations, said they’ve gotten big enough that lawmakers can no longer ignore them. Enterprise has also said it may eventually roll out its own competing car-sharing business. The first big venue for the fight over car-sharing was in Maryland. Last spring, the state passed a law giving car-sharing its own legal category and told insurers they couldn’t cancel personal policies because a customer used a car-sharing platform. The state also required Turo and Getaround to reach agreements with airports on fees and imposed an 8 per cent sales tax on car-sharing transactions, a 30 per cent discount to traditional rentals. The tax was designed to expire in two years so that lawmakers would be forced to reassess. The change to the bill in Illinois came a month after Maryland’s language was finalized. Turo quickly hired six different lobbying firms to oppose it. Getaround hired seven and made its first-ever political contributions in the state. By the end of the year, it had contributed more than $ 50,000. Bruce Rauner, a Republican who was then the governor, vetoed the bill. When he did so, he included a 40-page proposal of his own, which would define car-sharing separately from car rentals and exempt practically all car-sharing activity from many taxes. He suggested the legislature use his version instead. Getaround didn’t contribute to Rauner’s campaign, according to campaign finance disclosures. This spring, Enterprise supported a late amendment to Ohio’s transportation budget, leading to a similar scramble in that state. Side-door tactics like these are common but “less than savory,” said Aaron Scherb, legislative director of Common Cause, a non-profit advocacy group focused on government accountability and transparency. Such moves are usually used to push legislation expected to be unpopular. As in Illinois, the car-sharing companies declared victory. The startups are pushing their own bills, too. In part, they want clarity on insurance liability. But they’re also interested in locking in favourable tax systems. Some states, like Utah, are throwing up their hands when faced with multiple car-sharing bills and refusing to pass anything.